You may hear the news that Apple slowing down old phones lately on the update of iOS version. So what does it mean to iPhone users? Is it harmful to iPhone? Which model of iPhones will be affected by it? How can I improve the performance of my iPhone? Let’s find out the answer here together. What causes your iPhone to slow down lies in its iOS software? According to Apple, iOS does this to counteract problems which are found in aging lithium-ion batteries. When a battery starts to age, it starts to lose its ability to hold a charge and this can also make it shut down unexpectedly after too much stress. So, Apple had a feature incorporated in it to help it avoid shutting down unnecessarily, instead, it slows down the performance of your iPhone. The major problem lies with Apple, why? They tried to build a processor with faster speeds, something that needs a strong battery to accomplish, unfortunately, the batteries that come with these phones don’t have such abilities, that’s why you notice your phone starts to simply switch themselves off when this happens. If you have an iPhone 6, iPhone 6S, iPhone SE, your iOS was likely affected with the iOS 10.2.1 update. For iPhone 7 users, changes came with the iOS 11.2 update. To check which version of iOS you’re currently running, go to Settings > General > About. The more you use your batteries, the less effective they’ll become. To figure out how your battery health is, you can go to the details on “Battery Life” on your iPhone or download and battery app from the App store, which will tell you the details about your battery performance. If you see your device has poor batter health, then your iPhone is highly likely to be affected by the iOS update. The other way to check if your iPhone was affected by the changes is to see if your iPhone has always shut down itself lately. If it do has such situations, then it might be affected. Apple slowing down old phones, so, what can be done to improve the performance of your iPhone? The iMyFone Umate Pro for Windows or iMyFone Umate Pro for Mac is one tool that can help do this with just a few clicks. Most of the times, what causes your phone to lag is due to the junks and Apps that over task your iPhone. Unarguably, this is one of the surest ways to free up iDevice space which in turn helps to fasten your iPhone, making it work faster. Speeding up your iPhone -which is the major reason why it is great for those that need a performance enhancer for their iPhone. Free up space on your iPhone. Clearing hidden junk files for free. Scanning and previewing your private data for free. Erasing all data, both real and deleted. Erasing all or even selectively erasing files as you wish. How Can It Improve the Performance of Your iPhone? 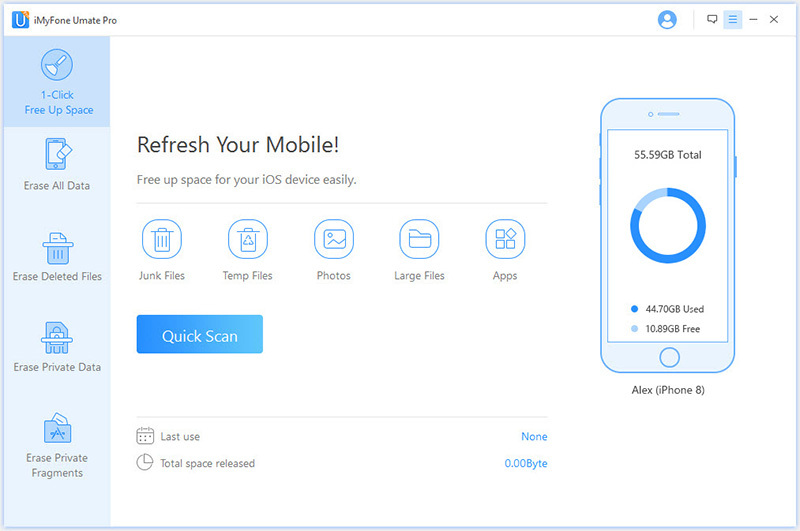 1Free up Space on Your iPhone – it has over 25 advanced space saving analyst technologies, what the iPhone Data Eraser will help do is to scan and analyze your iPhone totally and figure out how much free iOS memory space can be freed. 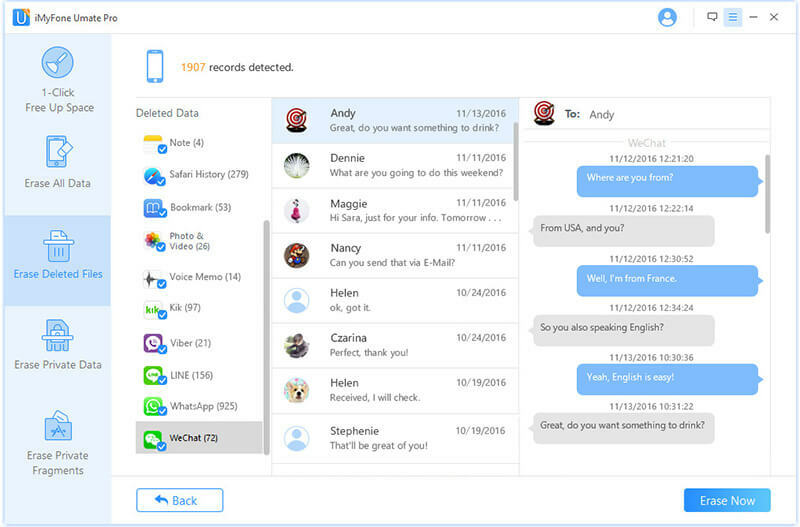 2Clean up Deleted Files Permanently – You may have bunch of deleted files still hanging on your iPhone, which take up the space and slow down your iPhone. So it’s necessary to clean them out of your iPhone completely. Thanks to the iMyFone Umtae Pro, you can now rest assured that these files will be totally deleted. 3Completely Deletes the Fragments of Third-party Apps – We all know that there are lots of third-party apps that we install every day. 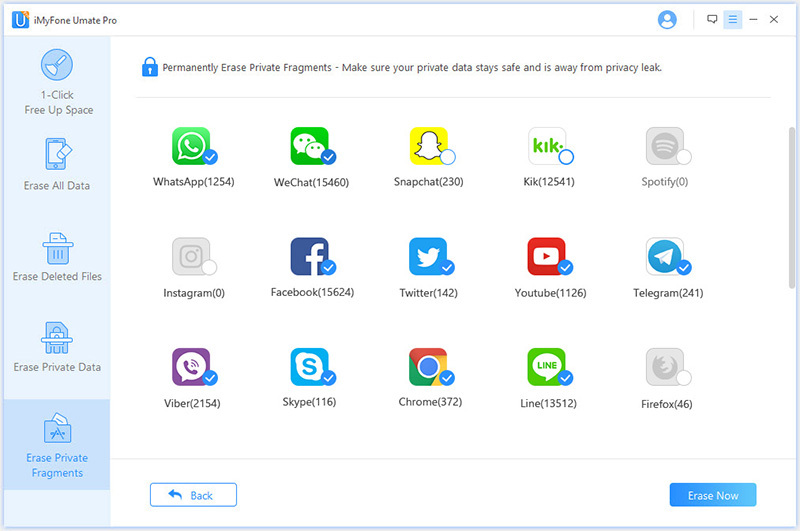 What this software does is to help erase the private fragments which if not handled properly can cause your files (privacy) be compromised and improve the performance of your iPhone. 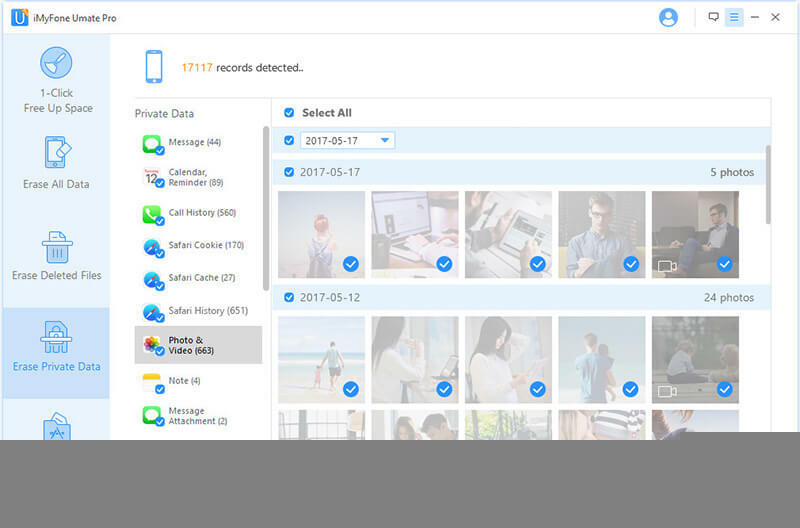 4Manage Your Unneeded Files – You may not notice that there lots of large files stored on your iPhone is useless already. So it’s time to clean them permanently, especially for those private data to speed up your iPhone. (1) Back up Your Data – It would be better that you back up your data more often to avoid any data lost caused by some suddenly shut down. (2) Use the Low Power Mode – Stay in this low power mode would help reduces the amount of power that your iPhone uses. It can also save the batter life on your iPhone. (3) Turn off Unneeded Process - Turning off app background refresh and location services may also help speed up your device. (4) Replace Your iPhone Battery – If your batter is in a really bad situation that you can even use your iPhone normally, then you can consider to get a new batter for your iPhone. Now you can replace your iPhone battery for $29 at the Apple Store if you have an iPhone 6, 6s, SE or 7. At the end, you really don’t need to wait for iPhone to make sure your iPhone starts to work faster, all you need is to get the iMyFone Umate Pro and if you are still wondering what my final decision was, well, I had to get a new battery for sure, and got one of the iMyFone Umate Prep to help enhance the speed of my phone.